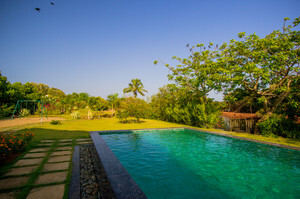 The best villas in Goa for families, couples, or groups who enjoy luxury and independence while travelling. Guests can enjoy a more personalized approach, which you will not find in resorts and hotels. Enjoy the space and privacy of these fully-furnished, self-standing modern homes and traditional Portuguese mansions. 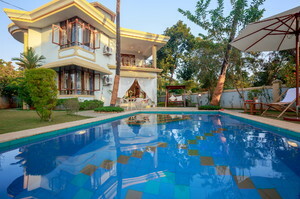 Our villas are located throughout Goa, and are close to beaches, the main tourist attractions, cafes, restaurants, nightclubs, banks, and markets. 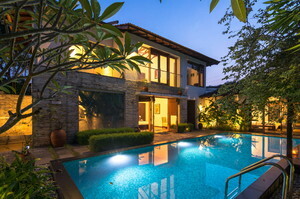 The top villas in Goa offer larger living spaces. The private compound has separate pavilions. There is a swimming pool surrounded by tropical garden. There are sundecks and garden chairs at the best houses to sit and relax. Concierge and butler services around the clock! Once you have stayed in a villa, it is difficult to stay anywhere else. More spacious rooms, more comfort, more luxury. More privacy. No pesky guests in the next room. No scrambling for sundecks or sharing the pool with others. Save money on meals. There are restaurants and cafes just minutes from your villa. Chef services available at many holiday villas too. 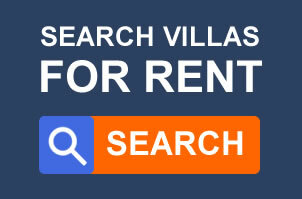 Cheaper than hotels and resorts per-person, as villas are rented weekly instead of per day. Cheaper for long-term villa rental. The running expense is lower for the property owner than larger accommodation facilities. Holiday villas are more practical and suitable for families, friends, small parties, reunions, destination weddings, and small conferences. 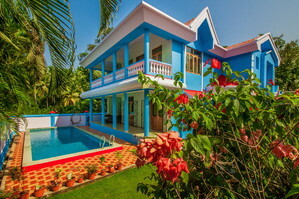 Villas on rent in Goa are the best option for families and large groups, or simply for gatherings and small pool parties. You can have barbecues, a picnic on the manicured lawn, romantic candlelit dinners, or a splashing session with the kids on the pool with no other guests to bother you or your kids. 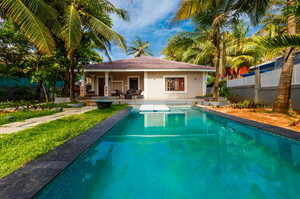 For clients who demand only the best luxury accommodation in Goa, we have handpicked some of the topmost villas in Goa that have exceptional standard and/or a waterfront location. More serene, more quiet, more family-friendly. More nature! There are many good beaches in the South like Uttorda, Majorda, Colva, Betalbatim, Benaulim, Varca, Cavelossim, and Palolem. 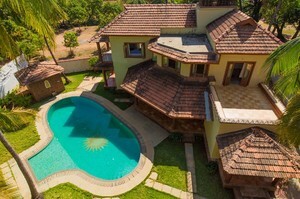 Choose from some amazing villas in South Goa. Many tourists come to Goa for its nightlife. Most of the nightclubs, pubs, and bars are in Baga, Calangute, and Candolim. These are hot and happening places with a lot of people. There are other good beaches in the North too, like Vagator, Ashwem, and Arambol, which are less crowded, but are still close to the famous nightlife of Goa. Gated properties on the waterfront or a few minutes from the beach. 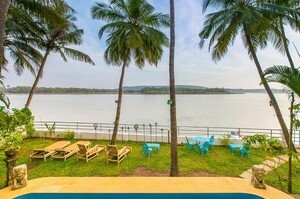 Close to party destinations of the North – Baga, Calangute and Candolim. Close to the serene and quiet beaches, rivers of the South. Family-friendly. Hammocks, garden chairs, upscale green neighborhood. Private swimming pool, splash pools. Garden with deck chairs, barbecue. Garage, car parking, security. Power back-up. Free Wi-Fi. Chef and maid services on demand. House cleaning. Large spacious rooms, fully furnished, attached balcony, terrace with sea view. Modular kitchen, modern fittings, plasma television, DVD player with library, microwave, juicer, water filter, laundry service, iron… and more. Close to restaurants, cafes, beach shacks, shops, pubs, nightlife. Design is contemporary and chic, with high standards of finish throughout. Many of the best villas are heritage properties that go back to the Portuguese times. They have been wonderfully restored with all modern amenities. The atmosphere is private, exclusive, laidback and luxurious – just perfect for friends or families holidaying together.